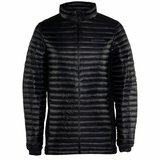 Selling this brand new Armada Insulated Sampson jacket in black in a large from 2017. Pretty sweet down jacket that is perfect for layering or streetwear. Retails for $250 but need it gone so selling for $175 or best offer. Shoot me a DM with an offer.